Who needs who the most: Britain or the EU? Who is most reliant on each other? Who needs each other the most? 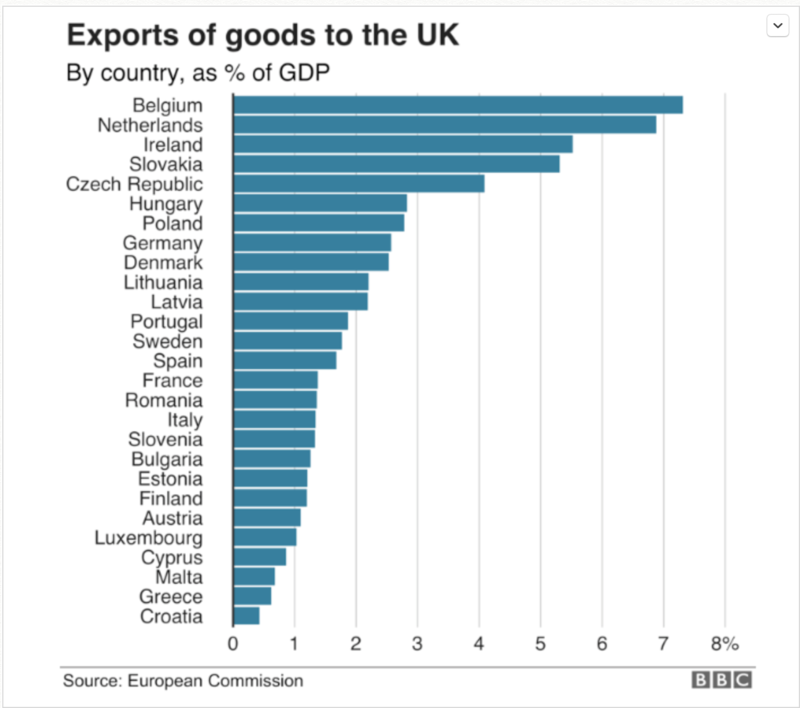 So, although the EU exports more than the UK it has a lesser impact on the EU's GDP since it is larger. This means that the headline 'The EU needs Britain more than the other way round is misleading'. 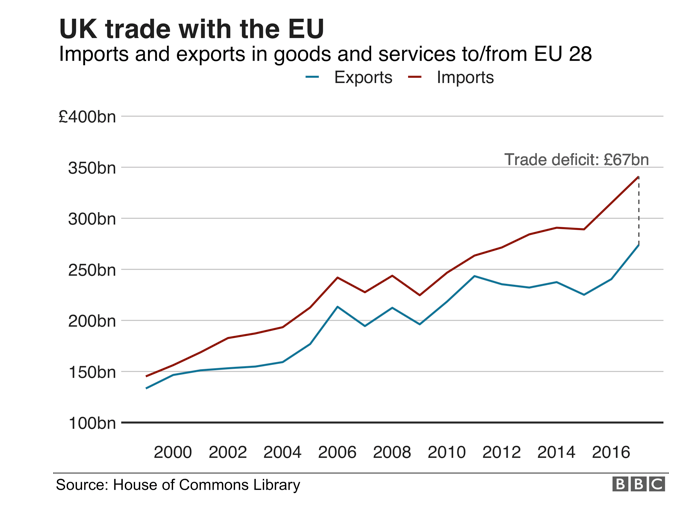 Technically it is accurate, but the impact of a souring in trade relations and a no-deal Brexit on March 29 will hurt Britain's GDP more than the EU's. See here for the whole article.